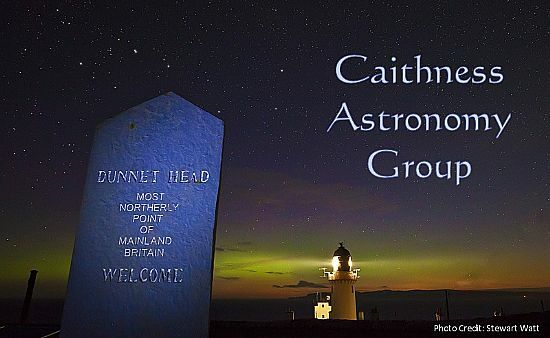 Welcome to the Caithness Astronomy Group website! We are continually developing this website. Please come back again often to see more content as it gets added. Check out the calendar & news sections for details of future events. ... and aim to continue to promote and support local interest in space and astronomy. Our location in the far north of Scotland affords us easy access to expansive dark skies and is one of the best places in the UK mainland to see nature's great light show - the aurora borealis. 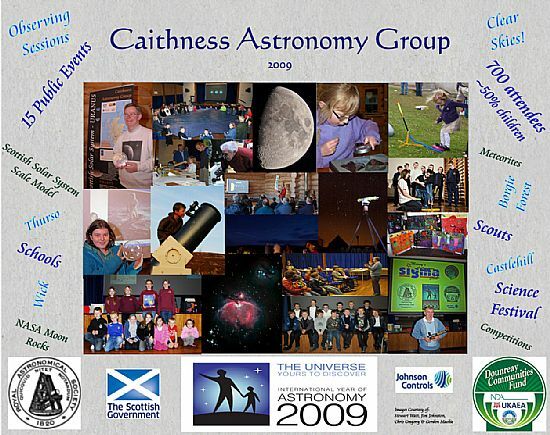 Why not come along to our events and find out more about astronomy and the Earth's place in the universe - you'll be assured of a warm welcome. It gives an idea of the sort of sights skywatchers can enjoy from the north of Scotland.